SAN DIEGO — Doctors were just guessing a decade ago when they gave Alison Cairnes' husband a new drug they hoped would shrink his lung tumors. Now she takes it too, but the choice was no guesswork. Sophisticated gene tests suggested it would fight her gastric cancer, and they were right. Cancer patients increasingly are having their care guided by gene tumor boards, a new version of the hospital panels that traditionally decided whether surgery, radiation or chemotherapy would be best. These experts study the patient's cancer genes and match treatments to mutations that seem to drive the disease. 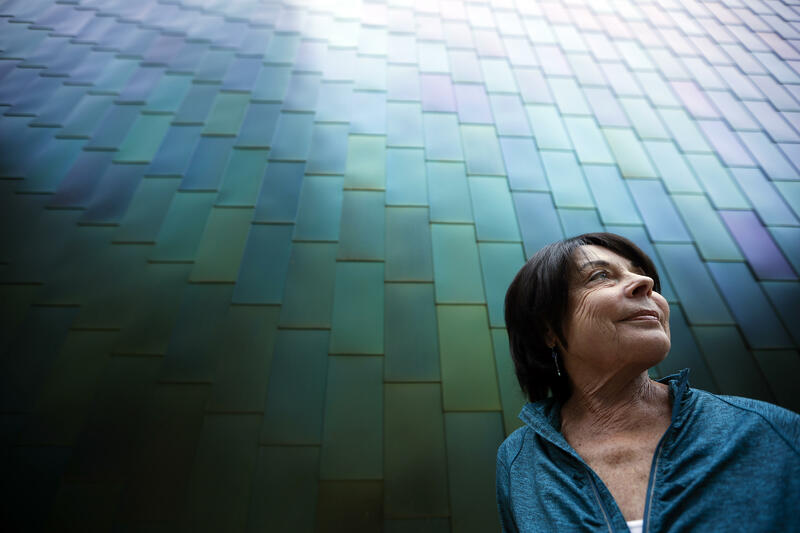 "We dissect the patient's tumor with what I call the molecular microscope," said Dr. Razelle Kurzrock, who started a board at the University of California, San Diego, where Cairnes is treated. "I think every patient needs it," especially if cancer is advanced, said Kurzrock, who consults for some gene-medicine companies. "Most people don't agree with me — yet. In five years, it may be malpractice not to do genomics." Few people get precision medicine today, said Dr. Eric Topol, head of the Scripps Translational Science Institute. "The only thing that's gone mainstream are the words." Then most patients get usual guideline-based treatments. If there's no clear choice, or if the disease has spread or comes back, doctors may suggest tumor profiling — comprehensive tests to see what mutations dominate. That's traditionally been done from a tissue sample, but newer tests that detect tumor DNA in blood — liquid biopsies — are making profiling more common. The tests cost about $6,000 and many insurers consider them experimental and won't pay. Gene tumor boards analyze what the results suggest about treatment. They focus on oddball cases like a breast cancer mutation in a colon cancer patient, or cancers that have widely spread and are genetically complex. The only options may be experimental drugs or "off-label" treatments — medicines approved for different situations. But as tumor profiling grows, it's revealing how genetically diverse many tumors are, and that oddball cases are not so rare, said Dr. John Marshall. He heads the virtual tumor board at Georgetown Lombardi Comprehensive Cancer Center that also serves cancer centers in Pennsylvania, North Carolina, Michigan and Tennessee. "There is a little bit of faith" that testing will show the right treatment, but it's not a sure thing, said Dr. Lee Schwartzberg, who heads one participating center, the West Cancer Center in Memphis. Dr. Len Lichtenfeld, the American Cancer Society's deputy chief medical officer, is optimistic yet wary. Drugs that target BRAF mutations work well for skin cancers called melanomas, but less well for lung or colon cancers. "Just because a mutation occurs it doesn't mean that drug is going to work in that cancer," he said. When it does, results can be dramatic. Cairnes' cancer was between her stomach and esophagus, and had spread to her liver, lungs and lymph nodes. Tissue testing found 10 abnormal genes, but on the liquid biopsy only EGFR popped out as a good target. The drugs Tarceva and Erbitux aim at that gene but aren't approved for her type of cancer. A tumor board advised trying the combo. Within two weeks, she quit using pain medicines. After two months, her liver tumor had shrunk roughly by half. There are signs that cancer may remain, but it is under control. She feels well enough to travel and to take care of her granddaughter. "I'm very, very grateful to have a targeted therapy," Cairnes said. "I cannot expect a better outcome than what we're seeing right now," said her doctor, Shumei Kato. Some doctors worry that tumor boards' recommending off-label treatments diverts patients from research that would benefit all cancer patients. For example, the American Society of Clinical Oncology's TAPUR study tests off-label drugs and shares results with their makers and federal regulators. Ann Meffert, who lives on a dairy farm in Waunakee, Wisconsin, endured multiple standard treatments that didn't defeat her bile duct cancer. "She was going to be referred to hospice; there was not much we could do," said Dr. Nataliya Uboha, who took the case to a tumor board at the University of Wisconsin-Madison. The panel gave several options, including off-label treatment, and Meffert chose a study that matches patients to gene-targeting therapies and started on an experimental one last October. "Two weeks in, I started feeling better," she said, and when she saw test results, "I couldn't believe the difference."